John R Gilchrist & Son Plumbing is a plumbing company in Chicago and the company was established in the year 1949. The company is a locally owned and operated plumber in Chicago and they have been providing very reliable plumbing services in Chicago. With more than 60 years into this plumbing industry, the plumbing company provides one of the best plumbing jobs in Chicago. All the staffs of John R Gilchrist & Son are licensed plumber and are well educated with the Chicago plumbing code. The plumbing contractor is based in Oak Park and provides plumbing service in Bellwood, Riverside, Elmwood Park, Maywood, Hines and surrounding areas. The company goal is to earn your trust by giving you an exceptional service and be the best plumbers in Chicago. John R Gilchrist & Son takes great pride in giving you the best customer service and quality in their work. 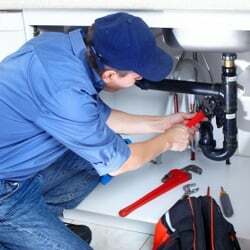 They offer you one of the best customer services available in the plumbing services with highly trained and certified customer service representative. The customer service office hours are open from Monday to Friday 8:00 am to 4:30 pm and customer can call the customer service phone number for any emergency plumber help in Chicago. Customer can contact the customer service at (708) 848-1836 for scheduling an appointment or for any plumbing emergencies. John R Gilchrist & Son does not provide 24 hour plumbing services but customer can send in a request anytime by filling up the online form and submit their concerns or requesting a quote.